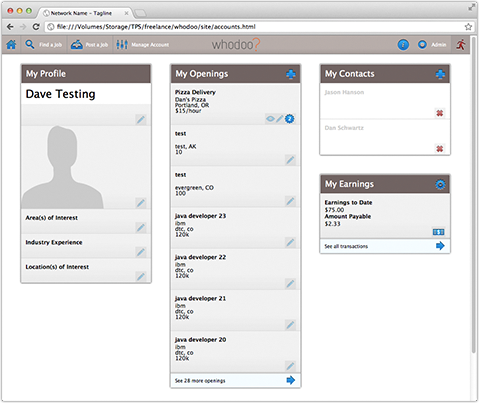 Whodoo needed a super clean, lean, and maintainable user interface for their job networking site. They also needed a logo, which I designed for them. 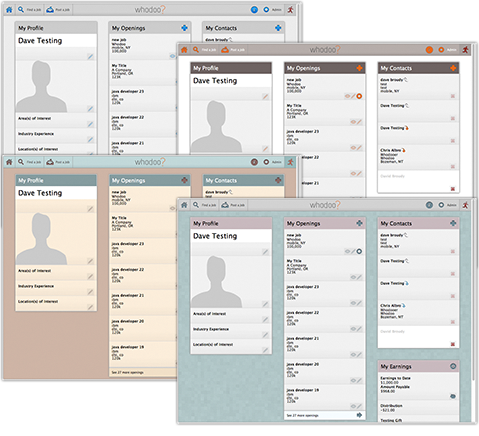 This web app was developed 'mobile first.' 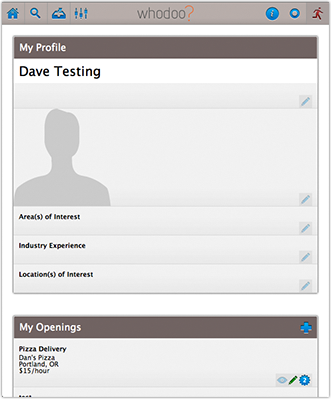 The site loads in a single column layout optimized for an iPhone, Android or Windows Phone 7 device. Viewing the website on your desktop gives you a more typical three column experience. Vewing it on a tablet gives you a two column layout. However, the code for displaying these different versions is exactly the same - it dynamically adjusts to the size of the screen accessing it.